Junk removal, Rubbish Removal, Debris removal in Brooklyn Borough. 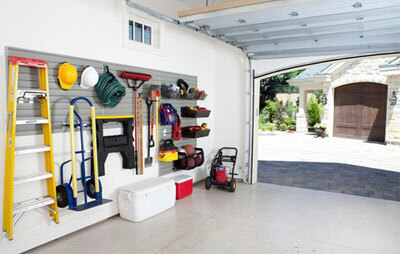 All types of Garage Clean out in Brooklyn Borough: Estate Clean out, Basement, Storage Unit Clean out, Attic Clean out and Yard Waste clean out. Helping the environment in Brooklyn Borough: Computer Recycling, Printer Recycling, Monitor Recycling, Scrap Metal Recycling. Bulky Items Removal Services in Brooklyn Borough: Deck Removal, Shed Removal, Carpet Removal, Hot Tub Removal, Fence Removal, Wall Removal, Above Ground Pools removal, Debris Removal. Click here to view the complete list of What We Take in Brooklyn Borough. Looking for the best mattress removal company in Brooklyn Borough? Look no further than 1844-JUNK-RAT. If you’ve got mattresses that need to be removed, 1844-JUNK-RAT is the answer to your problem. Whether your mattresses are single, twin, queen, or king we can dispose of them. We can handle any size mattress removal job in Brooklyn Borough. Our dedicated crews will get the job done, often the same day. Our rates for mattress removal in Brooklyn Borough are the lowest around. The price is based only on the amount of space that your items take up in our truck – no additional charges for labor or disposal! Our prices in Brooklyn Borough are guaranteed to be 25% lower than our leading competitors, so you can be sure you’re getting the best deal possible. For questions or to book our mattress removal service in Brooklyn Borough, call 1844-JUNK-RAT or 1844-586-5728. You can also book online and receive a $20 discount! 1844-JUNK-RAT is a local junk removal service in Brooklyn Borough that focuses on delivering high quality services with low-cost pricing. For Thorough Garage Cleanout Service in Brooklyn Borough, Rely Only on 1844-JUNK-RAT. Small garage? Easy. Huge garage? No problem. Regardless of the type of garage you have in Brooklyn Borough, 1844-JUNK-RAT is up for the challenge. 1844-JUNK-RAT offers the lowest rates for garage cleanout in Brooklyn Borough. Our prices are all-inclusive – there are no hourly rates, additional labor fees, or disposal costs! Our crews are the best at what they do. They have all undergone in-depth training, learning all the nuances of residential and commercial cleaning. For questions or to book a garage cleanout in Brooklyn Borough, call 1844-JUNK-RAT or 1844-586-5728. Online booking is also available – receive a $20 discount when you schedule an appointment online! For fast, affordable junk removal service in Brooklyn Borough, 1844-JUNK-RAT is the company to trust. 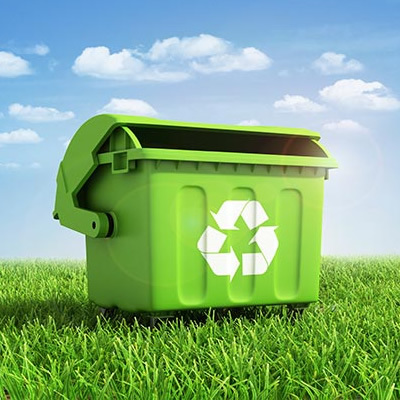 Whether you have one printer or an office full, we can take care of your printer recycling needs in Brooklyn Borough. You don’t have to lift a finger – our highly-trained crews will do everything from moving to disposal for you. 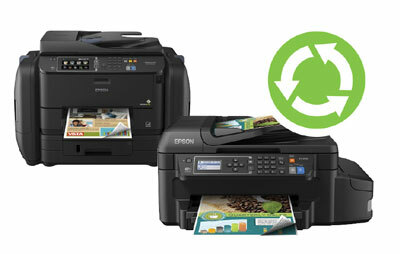 Our printer recycling service in Brooklyn Borough is offered for the lowest prices around. Rather than pay an hourly rate for labor plus additional disposal fees like most junk removal companies, you only pay for the space your items take up in one of our trucks. 1844-JUNK-RAT offers prices that are guaranteed to be 25% lower than our leading competitors. With 1844-JUNK-RAT you’re guaranteed to get your money’s worth! Scheduling an appointment for our printer recycling service in Brooklyn Borough is quick and easy. Simply call 1844-JUNK-RAT or 1844-586-5728. We provide free, no-obligation estimates. You can also book online and receive an instant $20 discount! 1844-JUNK-RAT is the most reliable local junk removal service in Brooklyn Borough that’s been trusted by thousands of customers since 1997. Estate cleanouts can be quite a challenging task. Aside from the physical aspect, parting with items, whether your own or those of a loved one, that represent years of memories can be difficult. If you’re looking for a fast, reliable estate cleanout in Brooklyn Borough, look no further than 1844-JUNK-RAT. Recognized as Brooklyn Borough‘s #1 local junk removal company, 1844-JUNK-RAT can meet your estate clean out needs in Brooklyn Borough. We have the most highly-trained, efficient crews around – between intensive training and years of experience, they’ll provide you with excellent and expedient service. Our prices for estate cleanouts in Brooklyn Borough are the lowest around by far. Our fees are all-inclusive – meaning that for one flat rate, we will handle everything from A-Z. Our estate cleanout rates are based only on the amount of space your items take up in one of our trucks – no labor fees, additional hourly rates, or disposal costs unlike most of our local competitors. 1844-JUNK-RAT will get the job done the same day in most cases. 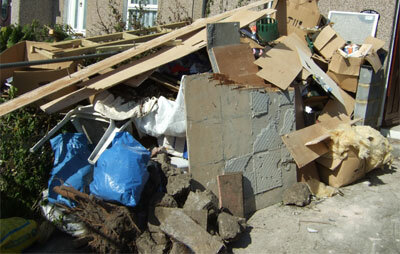 You can book a slot for an estate cleanout by calling 1844-JUNK-RAT or 1844-586-5728. We also provide free, zero-obligation pricing for your estate cleanout needs in Brooklyn Borough. Online booking is also available – schedule online and receive a $20 discount off your price! 1844-JUNK-RAT is the #1 junk removal service in Brooklyn Borough and is committed to providing the highest quality service at affordable rates for our valued clients. Whether you are renovating your home and need space or have an old above ground pool that needs to be removed in Brooklyn Borough, 1844-JUNK-RAT has got you covered. With 1844-JUNK-RAT, your above ground pool removal will be done fast, efficiently, and at an affordable price. Armed with the latest demolition equipment, 1844-JUNK-RAT’s professional junk haulers in Brooklyn Borough can remove your above ground pool and dispose of the remains so you don’t have to. Regardless of size or shape, there is no pool that we cannot handle. Best of all, you won’t have to do anything during the process. Just lead us to your above ground pool and we’ll do the rest. 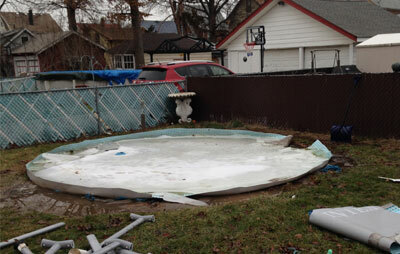 Our above ground pool removal in Brooklyn Borough will not cost you a fortune – quite the opposite actually. Our prices are guaranteed to be 25% lower than other local competitors. We provide free, no-obligation estimates as well. Once the price is agreed upon, we will immediately start on your above ground pool removal! 1844-JUNK-RAT is a local junk removal service in Brooklyn Borough that’s committed to 100% customer satisfaction. Televisions can get in the way once they stop working. You might not want them at your home or office in Brooklyn Borough anymore, especially if space is at a premium. This is when you need 1844-JUNK-RAT’s TV removal service. Whether you’ve got small or large TVs at your home or office, we can help you address your TV removal needs in Brooklyn Borough. Tell us what to remove and we will take them in one of our 15-cubic yard trucks. You don’t even have to move a muscle! For questions or booking requests, simply call 1844-JUNK-RAT or 1844-586-5728. We also offer free estimates in Brooklyn Borough! Online booking is also available – schedule online and receive a $20 discount! With over 20 years of experience and thousands of customers served, 1844-JUNK-RAT is the #1 local junk removal service in Brooklyn Borough! Looking for a top-notch appliance removal service in Brooklyn Borough? Look no further than 1844-JUNK-RAT. Serving Brooklyn Borough since 1997, we are dedicated to providing fast, efficient, and professional service at a price you can afford. Regardless of size, type, or quantity, there’s absolutely no appliance removal job we can’t handle in Brooklyn Borough. 1844-JUNK-RAT provides the best crews who have been thoroughly trained to do everything for our clients, including lifting, loading, and disposing of your items. This means you don’t need to do anything at all! Simply tell us what you want removed and it’ll be gone the same day. The best thing about our appliance removal service in Brooklyn Borough is that we offer the lowest rates around. In fact, our prices are 25% cheaper than our leading competitors. We base our prices on the space your appliances take up in one of our truck. This means you don’t have to pay for the entire truck space, labor, or disposal, ultimately saving you a significant amount of money. Getting your appointment for appliance removal in Brooklyn Borough is extremely easy. Simply call 1844-JUNK-RAT or 1844-586-5728 to get started. Alternatively, you can book online and receive an instant $20 discount on your bill! Basements and attics – these are the two most common areas of the home for junk buildups. If you’re currently in this situation, you’re likely looking for a basement or attic cleanout service in Brooklyn Borough whom you can trust. The good news is, 1844-JUNK-RAT is here to help. Serving Brooklyn Borough since 1997, 1844-JUNK-RAT can take away any junk you have at your home or office. No matter the size of the space, one of our professional crews will take away the things that you want to go. There is no preparation work required on your part. That’s right, no lifting or loading for you! Our rates for basement or attic cleanouts are the cheapest you’ll find in Brooklyn Borough. You don’t have to pay for the entire space in our truck, only that which your junk takes up. By pricing jobs in this manner, you avoid having to pay hourly rates, labor fees, or disposal costs. But don’t be fooled by our low prices – you’ll receive the most high quality basement or attic cleanout in Brooklyn Borough! For bookings or questions about our local junk removal services in Brooklyn Borough, contact us by calling 1844-JUNK-RAT at 1844-586-5728. If you book online, you’ll get an instant $20 discount! 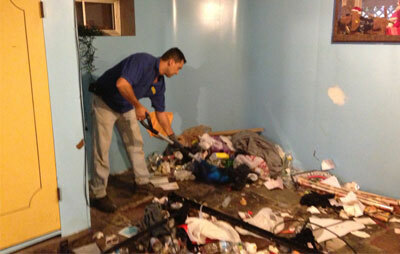 1844-JUNK-RAT provides fast, friendly, and affordable cleaning and junk removal services in Brooklyn Borough. 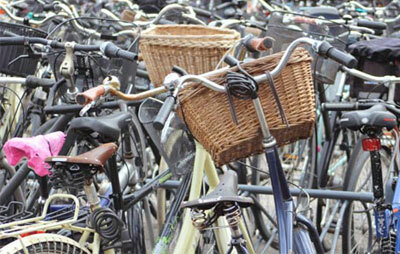 Do you have old bicycles taking up space in your home or garage? If so, than 1844-JUNK-RAT is the solution to your problem. If you’re seeking a quick bicycle removal in Brooklyn Borough, 1844-JUNK-RAT is the only way to go! We cater to all bicycle removal needs in Brooklyn Borough, regardless of quantity. Our team is comprised of professional crews that are fast, highly efficient and they’ll do all the work – lifting, loading, and disposal. That said, you don’t do a thing besides tell us what to dispose of! If budget is your top priority, you’re in good hands with 1844-JUNK-RAT. Our bicycle removal service in Brooklyn Borough is extremely affordable, as you only pay for the space your items take up in one of our trucks. That’s right – no labor charges, hourly fees, or additional disposal costs! Do you have carpet that needs to be removed in Brooklyn Borough? Whether its at your home or office and you’re simply remodeling or have carpeting that’s been destroyed by a flood or just simple wear and tear, you need 1844-JUNK-RAT. 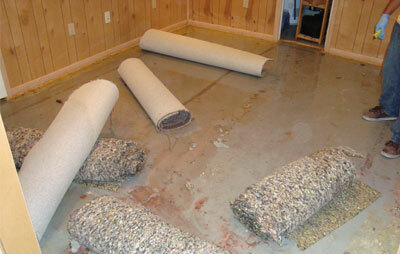 Getting the best carpet removal service in Brooklyn Borough is a must. When it comes to affordable, efficient carpet removal, 1844-JUNK-RAT delivers. Whether it’s a residential or commercial space, we can meet your carpet removal needs Brooklyn Borough, regardless of the carpet’s condition. Choose 1844-JUNK-RAT to avoid getting your hands dirty – literally. Simply tell one of our highly-trained crews what to remove and we’ll handle the rest. Our carpet removal service in Brooklyn Borough is offered for the lowest price you’ll find. In fact, our rates are 25% lower than that of our competitors. With 1844-JUNK-RAT, you’ll receive top-notch service without having to break the bank. 1844-JUNK-RAT is a local junk removal company in Brooklyn Borough that’s at your service no matter what your junk removal needs are. Looking to get rid of your old computer? Whether you have one or two desktops at home or an office full, call 1844-JUNK-RAT. If you’re in need of a reliable computer recycling service in Brooklyn Borough, we’ve got your back. 1844-JUNK-RAT offers the most affordable, reliable service. 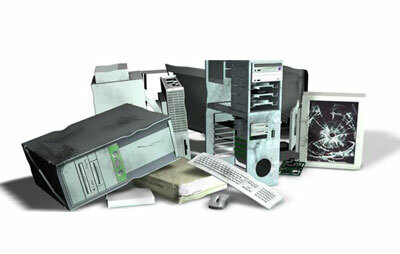 It doesn’t matter if you’re looking to dispose of personal computers from your home or if you’re a business looking to get rid of an office full, our computer recycling service in Brooklyn Borough is all you need. We have the most highly-trained crews in town that will do everything for you, including lifting, loading, and disposal. 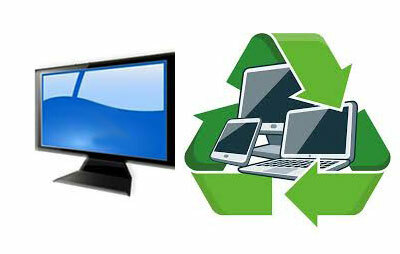 The best thing about our computer recycling service in Brooklyn Borough is our prices. As a matter of fact, our rates are 25% lower than our leading competitors. You won’t find a better deal in Brooklyn Borough for computer recycling than 1844-JUNK-RAT. 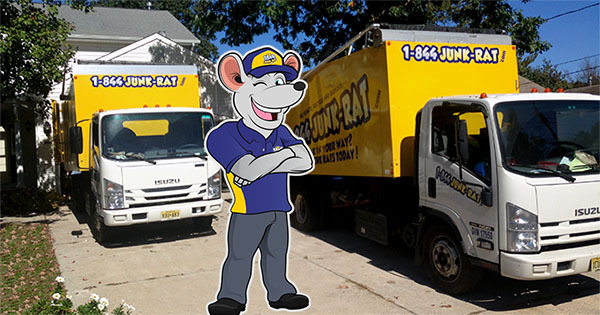 With 1844-JUNK-RAT, you can be confident that you’ll receive the best service in Brooklyn Borough! If you’re renovating your home or office, you’ll need an expert construction debris removal company to handle the cleanup. 1844-JUNK-RAT offers fast and reliable service for your junk removal needs in Brooklyn Borough. Regardless of the job size, 1844-JUNK-RAT is the go-to company for construction debris removal in Brooklyn Borough. Our crews have extensive experience which guarantees 100% satisfaction. Let the professionals handle your job from A to Z – we do all the lifting, loading, and disposal. 1844-JUNK-RAT is committed to providing low-cost construction debris removal in Brooklyn Borough. In fact, our rates are lower than any other local junk removal company by 25%. With 1844-JUNK-RAT, you’ll only pay for the space your debris takes up in one of our trucks. 1844-JUNK-RAT, the largest local junk removal service in Brooklyn Borough, is committed to providing quality service for the lowest prices. Do you have a deck that needs to be removed? Whether your deck has been damaged, destroyed, or you’re simply looking to create additional space for renovations, 1844-JUNK-RAT has got your back. If you’re in need of a deck removal in Brooklyn Borough, 1844-JUNK-RAT is the only way to go as we offer efficient, high-quality service at the most affordable rates. Renowned as the largest local junk removal company in Brooklyn Borough, 1844-JUNK-RAT is your one-stop provider for all your junk disposal needs. We specialize in deck removal, serving all of Brooklyn Borough. 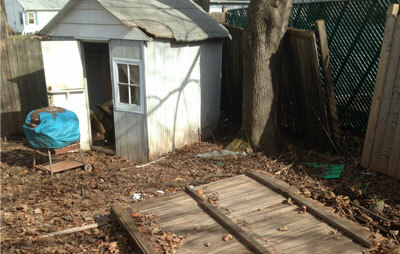 1844-JUNK-RAT will provide the best crews in Brooklyn Borough to handle your deck removal. In addition to being professional and friendly, they are highly-experienced and provide only the best service. 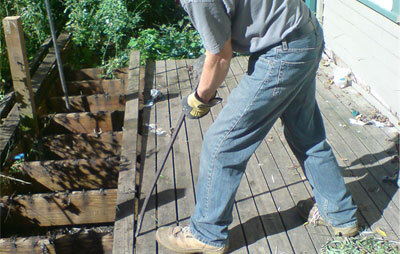 Our prices for deck removal are the lowest you’ll find in Brooklyn Borough. 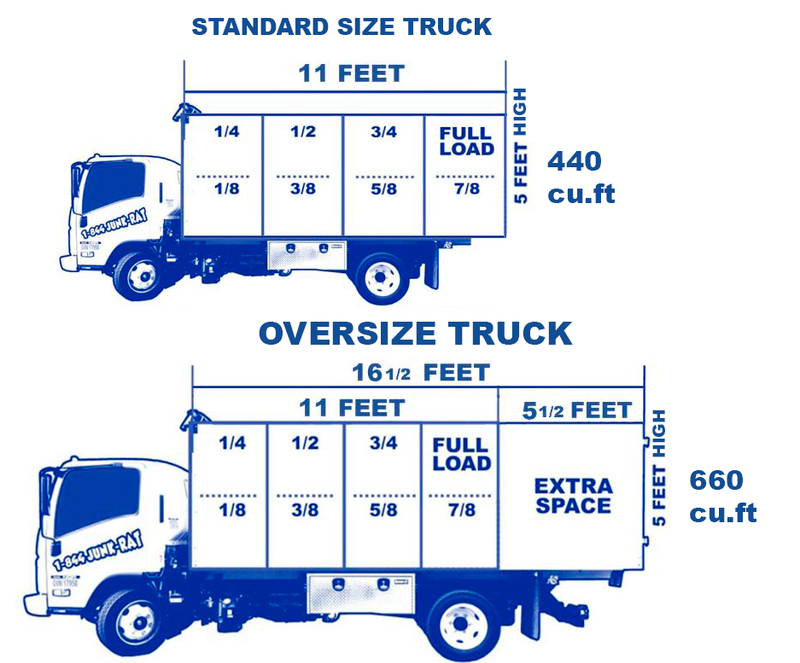 We charge a flat-fee based on the amount of space your materials take up in one of our trucks. By paying this all-inclusive low-cost fee, you’ll avoid paying additional labor costs, hourly rates, and disposal fees. Our rates are typically 25% lower than our leading competitors. 1844-JUNK-RAT is a local junk removal service in Brooklyn Borough that’s focused on providing fast, cost-effective services. Do you live in Brooklyn Borough and have a fence that needs to be removed? No problem, 1844-JUNK-RAT can help. Having served Brooklyn Borough for over 20 years, 1844-JUNK-RAT is a trustworthy junk removal company that’s dedicated to providing service that’s fast, friendly, and affordable. Our prices are currently the lowest in Brooklyn Borough, with rates 25% lower than our leading competitors. 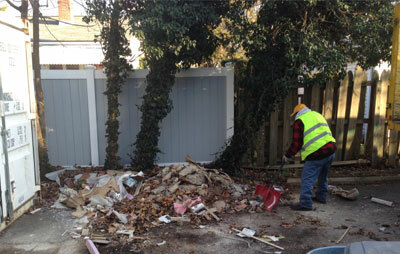 Our fence removal service in Brooklyn Borough can be booked by calling 1844-JUNK-RAT or 1844-586-5728. Online booking is also available. If you book via our website, you’ll get an instant $20 discount! Recognized as the #1 local junk removal service in Brooklyn Borough, 1844-JUNK-RAT guarantees 100% satisfaction on all jobs. Looking to renovate or remodel? 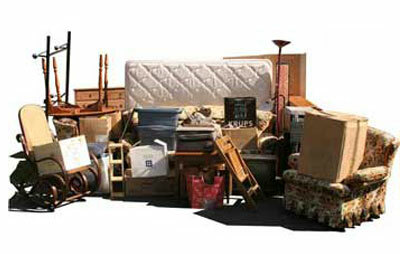 If so, you’ll need a professional furniture removal company that can clear out your home or office. If you are in Brooklyn Borough, there is only one name to trust – 1844-JUNK-RAT. Regardless of the type or amount of furniture, 1844-JUNK-RAT can handle jobs of any size. We have extensive experience in hauling junk, having serviced Brooklyn Borough for 20+ years. 1844-JUNK-RAT is more than just a local junk removal service in Brooklyn Borough; we are an eco-friendly company that donates any reusable items to local charities. Are you in need of a garage demolition in Brooklyn Borough? When speedy service is what you’re looking for, you can always count on 1844-JUNK-RAT. Large or small, we demolish any type of garage in Brooklyn Borough. Choose 1844-JUNK-RAT and then sit back, relax, and watch us complete the job the same day. Our crews are well-trained and experienced in garage demolition, so leave everything to us. At 1844-JUNK-RAT we pride ourselves on offer prices that are significantly lower than that of our competitors in Brooklyn Borough. For almost all services, we guarantee our prices are cheaper by 25%. With 1844-JUNK-RAT, you pay only for the space your junk takes up in our truck – there’s no hourly rates, labor fees, or disposal costs like with other demolition and junk removal companies! 1844-JUNK-RAT is the most trusted, reliable junk removal service in Brooklyn Borough. Do you live or work in Brooklyn Borough and are looking for reliable garbage removal? If so, you’re in luck. Brooklyn Borough has a reliable service provider that takes away virtually every type of garbage there is – 1844-JUNK-RAT. Specializing in garbage removal in Brooklyn Borough, 1844-JUNK-RAT offers low-cost junk removal services with top-notch speed and efficiency. Let one of our highly-trained crews do the work. You don’t have to move or lift anything – leave everything to us. As mentioned, our rates are the lowest around. In fact, we guarantee that our prices are 25% lower than our leading competitors. Are you wondering how we are able to offer such cheap garbage removal in Brooklyn Borough? Simple. We only charge you for the amount of space your garbage takes up in one of our trucks – no labor or disposal fees! Recognized as Brooklyn Borough‘s #1 local junk removal company, 1844-JUNK-RAT guarantees 100% client satisfaction! Are you looking to dispose of old gym equipment? Whether you’ve got a few assorted pieces of gym equipment at your home or office or you’re a fitness club with dozens of machines, 1844-JUNK-RAT has got you covered. 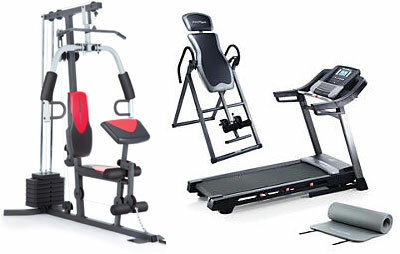 In any case, you’ll need to hire a professional team as gym equipment is extremely heavy and difficult to move. If you’re looking for the best gym equipment removal in Brooklyn Borough, look no further than 1844-JUNK-RAT. Despite being the best junk removal company in Brooklyn Borough, we offer the lowest prices. In fact, we beat our leading competitors prices by 25%, so you don’t have to sacrifice quality for cost. 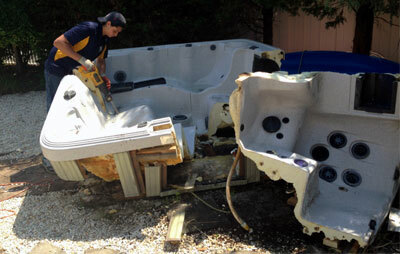 Do you have a hot tub at your home that you are looking to have removed? If so, you can’t rely on just anybody to do the job, as this might cause more harm than good. For the most efficient yet affordable hot tub removal in Brooklyn Borough, 1844-JUNK-RAT is the way to go. Regardless of the size or shape, your hot tub removal needs in Brooklyn Borough will be properly taken care of by 1844-JUNK-RAT. It doesn’t matter if it’s freestanding or built into your deck, one of our professional crews can remove it quickly and neatly. Choose 1844-JUNK-RAT and we’ll handle everything – our professional crews can get the done job the same day. The best thing about our hot tub removal services in Brooklyn Borough is that we offer them for ridiculously low rates. In fact, ours are whopping 25% lower than our major competitors. Don’t sacrifice quality for low cost – you can have both with 1844-JUNK-RAT! 1844-JUNK-RAT is Brooklyn Borough‘s #1 provider of all junk removal-related services. Are you in need of a reliable junk removal service for your home or office in Brooklyn Borough? If so, you’ve come to the right place. There is absolutely no reason to be embarrassed about needing a junk removal company – we perform hundreds of them each year in Brooklyn Borough. By booking your junk removal in Brooklyn Borough with 1844-JUNK-RAT, you can be 100% confident that your home or office will be clean, junk-free, and germ-free. 1844-JUNK-RAT is a local junk removal company that delivers outstanding services in Brooklyn Borough without the hefty price tag. According to our research, our junk removal rates are 25% lower than our leading competitors. If you’re looking for the highest-quality job for the most reasonable price – look no further than 1844-JUNK-RAT. Don’t sacrifice quality to save a few bucks – 1844-JUNK-RAT can get the job done while saving you money. Do you have old monitors you need to dispose of? Maybe you have a few old monitors laying around the house that are no longer working. Maybe you run your own business and have an office full of monitors that need to be recycled. Either way, don’t worry – 1844-JUNK-RAT has got you covered. 1844-JUNK-RAT is the #1 company to fulfill your monitor recycling needs in Brooklyn Borough. Whether you’ve got 2 or 3 monitors or 20 or 30, there is no monitor recycling job that we cannot manage here at 1844-JUNK-RAT. Our local junk removal company is extremely experienced and is committed to providing affordable, efficient monitor recycling services in Brooklyn Borough. 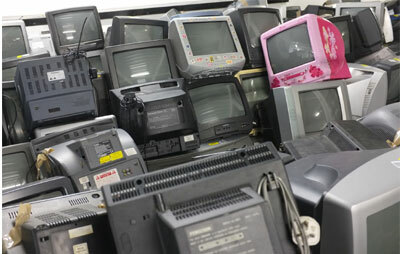 1844-JUNK-RAT offers monitor recycling in Brooklyn Borough at the lowest possible prices. We only charge for the amount of space your items take up in one of our trucks unlike our competitors who charge hourly rates, labor fees, and hidden disposal costs. As a matter of fact, our prices are 25% lower than our leading competitors. Don’t get stuck paying hidden fees! 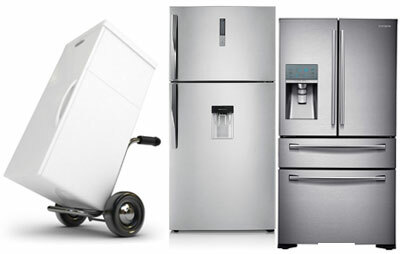 Do you have a refrigerator at home or the office that needs to be disposed of? Maybe you have more than one. If so, you’ll need a team of professionals to handle the job because of the size, weight, and difficulty involved in moving refrigerators. But don’t worry about it – when it comes to refrigerator removal in Brooklyn Borough, 1844-JUNK-RAT is NY’s go-to company. It doesn’t matter the size, shape, or quantity of refrigerators, we can handle all your refrigerator removal needs in Brooklyn Borough. Our local junk removal company is made up of several highly-trained, professional, and efficient crews who have years of experience. While we’re lifting, loading, and removing your refrigerators, you can just sit back and kick your feet up. There’s zero preparation necessary on your part – simply tell us what to remove and it’ll be gone the same day. Prices at 1844-JUNK-RAT are incredibly low. In fact, our rates are 25% lower than that of our competitors. 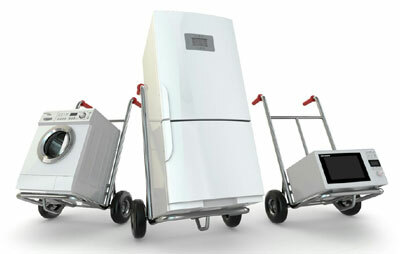 Get this highest quality refrigerator removal in Brooklyn Borough for the lowest prices! With 1844-JUNK-RAT you’ll never have to sacrifice quality for price. If you’d like to schedule an appointment for a refrigerator removal in Brooklyn Borough, simply call us at 1844-JUNK-RAT or 1844-586-5728. Online booking is also available on our website. Use our online booking form to receive an instant $20 discount! For reliable local junk removal service in Brooklyn Borough, trust only 1844-JUNK-RAT. Looking to remove rubbish from your home or office? 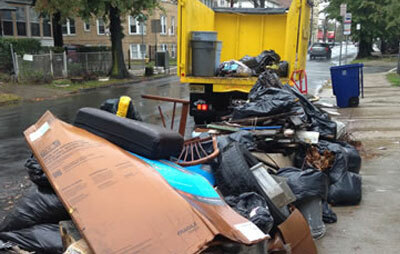 Rubbish removal in Brooklyn Borough is one of the most popular jobs we do. Rubbish has a way of piling up and before you know it, you need a professional service to come in and clear your space out. If you’ve found yourself in this position and want immediate rubbish removal in Brooklyn Borough, there’s only one name to call – 1844-JUNK-RAT. Whether single or multiple truckloads, there is absolutely no rubbish removal job that we cannot handle here in Brooklyn Borough. Our highly experienced, well-trained crews will do all the work for you, including lifting, loading, and disposal. All you have to do is tell us what you want to get rid of and we’ll do the rest! When looking for a reliable local junk removal service in Brooklyn Borough, 1844-JUNK-RAT is the only name to trust. 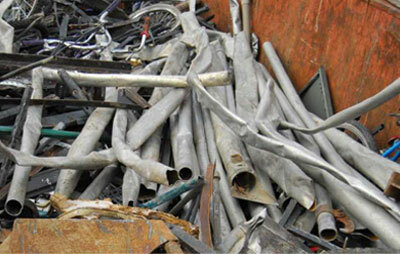 Do you have assorted scrap metals that you are looking to have removed? If so, you’ll need a team of professionals as all metals are disposed of differently. Luckily, there is a good provider of scrap metal removal in Brooklyn Borough that’s been trusted for years – 1844-JUNK-RAT. Whether you have copper, brass, aluminum, lead, nickel, tin, or another material, there are no scrap metals that we cannot dispose of in Brooklyn Borough. 1844-JUNK-RAT’s team of professional junk haulers are highly experienced and trained to handle even the toughest jobs. Our team will handle the job from start to finish, including separating, loading, and disposing of any scrap metals – there is zero preparation required on your part. At 1844-JUNK-RAT, we offer the lowest priced scrap metal removal in Brooklyn Borough. In fact, our rates are set 25% lower than that of our competitors. If you’re looking for the best value in Brooklyn Borough, 1844-JUNK-RAT is it! As Brooklyn Borough‘s #1 local junk removal company, we are constantly focused on delivering quality service at for the lowest possible prices. Professional shed demolition in Brooklyn Borough provided by 1844-JUNK-RAT. Do you have a shed at your home that needs to removed? If so, you’ve come to the right place – 1844-JUNK-RAT. When you are looking for shed demolition, you need a professional team with experience because when they become old and weathered, they can be dangerous to dispose of on your own because of their size. When searching for a good shed demolition company in Brooklyn Borough, 1844-JUNK-RAT is the best option. Regardless of size or construction material, 1844-JUNK-RAT can demolish any shed in Brooklyn Borough. Geared with the latest demolition equipment, our local junk removal company’s professional crews will get the job done fast, efficiently, and at an affordable rate. 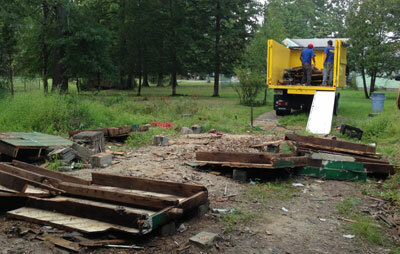 Our shed demolition rates in Brooklyn Borough are extremely affordable. In fact, our prices are guaranteed to be 25% lower than our leading local competitors. With 1844-JUNK-RAT, you get the best of both worlds – high-quality service and low prices. 1844-JUNK-RAT, offering proven cost-effective local junk removal service in Brooklyn Borough, is a family based full-service company with over 20 years experience. Do you have one or more sofas that you are looking to dispose of? Whether they are located at your home or office, 1844-JUNK-RAT can handle the job. Since most models are heavy, you’ll want a professional team to do it for you. When it comes for sofa removal in Brooklyn Borough, 1844-JUNK-RAT is the only name to call. We remove all types of sofas and furniture, so you can be 100% confident that we’ll handle your sofa removal needs in Brooklyn Borough in a fast, efficient manner. Our team is made up of professional junk hauling crews, all of whom have extensive experience in the field. They are trained to help ease your junk problems, without requiring you to do anything. The best part of it all is the price. 1844-JUNK-RAT offers the lowest prices in Brooklyn Borough for sofa removal. Currently, our rates are 25% cheaper than our leading competitors. Awesome, right? Even better is that you only have to pay for the amount of space your sofas take up in one of our trucks – we don’t charge any hourly rates, labor fees, or disposal costs unlike most of our competitors. 1844-JUNK-RAT is a local junk removal company in Brooklyn Borough that’s focused on providing the best prices! For surefire storage unit cleanout in Brooklyn Borough, 1844-JUNK-RAT is the only company to trust! Do you have a storage unit that requires a cleanout? This is another one of our most common jobs, as people typically store anything they can’t fit in their homes and before you know it, they are packed to max and need to be cleaned out. With regards to storage unit clean out in Brooklyn Borough, 1844-JUNK-RAT is definitely the way to go. 1844-JUNK-RAT is a local junk removal company that offers storage unit cleanout in Brooklyn Borough for the lowest prices. We don’t charge hourly rates, labor fees, or disposal costs – you only pay for the amount of space your items take up in one of our trucks. In fact, our rates are guaranteed to be 25% lower than other local providers. 1844-JUNK-RAT is a local junk removal service in Brooklyn Borough that’s affordable, fast, and thorough. Recognized as the biggest local junk removal company in NY, 1844-JUNK-RAT offers the fastest, most reliable, and affordable tire removal in Brooklyn Borough. We have professional crews to fulfill your junk removal needs, so leave the heavy lifting to us and let us get the job done the same day. Our prices for tire removal in Brooklyn Borough are the lowest around. As proof, we’ve found that our rates are 25% lower than our competitors. For fast, high-quality service at an affordable prices, call 1844-JUNK-RAT. 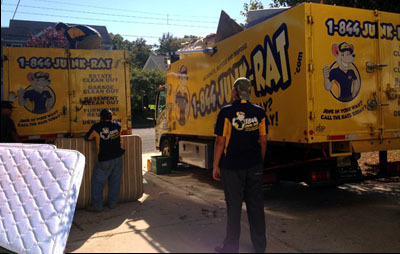 When looking for a reliable local junk removal service in Brooklyn Borough, you’ll never go wrong wit 1844-JUNK-RAT. 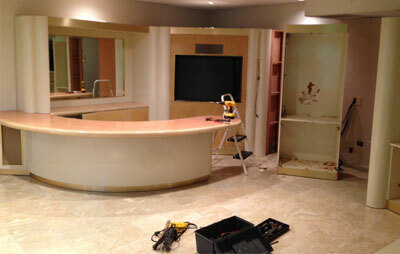 During home or office renovations, wall removal is almost always required. But, you can’t let just any service provider handle the job. For professional wall removal in Brooklyn Borough, 1844-JUNK-RAT can definitely meet your needs. Serving NY for over 20 years has earned us a good reputation for our wall removal service in Brooklyn Borough. Thanks to our professional crews who are extremely experienced in removing junk for both residential and commercial clients, you’re in good hands with 1844-JUNK-RAT. Our crews will do all the work for you – lifting, loading, and disposing of the remnants – so you don’t have to do anything besides tell us what you want taken away. 1844-JUNK-RAT offers the lowest prices for wall removal in Brooklyn Borough. We provide free, no-obligation estimates for all our clients. Our rates have been found to be 25% lower than our leading competitors. Don’t sacrifice quality to save a few dollars – you can get quality work for a low price with JunkRat! 1844-JUNK-RAT is the biggest local junk removal company in Brooklyn Borough, providing fast, efficient, and thorough services at affordable rates. Do you have a washing machine or dryer in Brooklyn Borough that no longer works and needs to be removed? Whether this is the case or you are simply looking to upgrade your appliances, you’ll likely need a professional washer and dryer removal service as they are extremely difficult to move and even more difficult to dispose of properly because they can’t simply be put to the curb for trash pickup due to state and federal regulations. This is the time you’ll want a professional washer & dryer removal service, especially if you’re in Brooklyn Borough. Who do you call? Only 1844-JUNK-RAT. 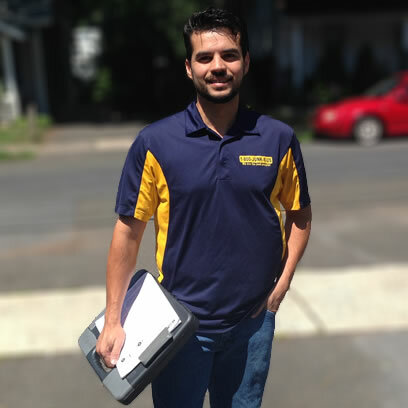 1844-JUNK-RAT is a local junk removal company that’s been trusted by Brooklyn Borough for over 20 years to deliver fast, thorough, and cost-friendly service. Size, type, and quantity are not a concern as we will do swift washer & dryer removal in Brooklyn Borough. You don’t have to lift or load anything – leave it up to us and it will be done the same day. 1844-JUNK-RAT, Brooklyn Borough‘s #1 local junk removal company offers the lowest prices around for all our services. We offer competitive prices, having rates that are 25% lower than other local companies who offer similar services. Don’t sacrifice service quality to save a few dollars – 1844-JUNK-RAT can provide you with the best of both worlds. For affordable and reliable local junk removal services in Brooklyn Borough, 1844-JUNK-RAT is the only company to count on! Do you have yard waste that you are looking to dispose of? Whether it’s leftover construction materials or tree branches, wood, and other things that can build up in your backyard, hire a professional team to handle the job. We, at 1844-JUNK-RAT, don’t want you feeling frustrated and stressed over junk removal. If you don’t have the time for it, leave it up to us and we’ll complete your the yard waste removal in Brooklyn Borough the same day. 1844-JUNK-RAT is a local junk removal company with over 20 years of experience. Our professional crews can get the job done the same day and are equipped to handle even the toughest and biggest yard waste removal jobs in Brooklyn Borough. You don’t have to do anything – we’ll lift and load everything into one of our spacious 15-cubic yard trucks then properly dispose of the waste. 1844-JUNK-RAT gives you the most bang for your buck, offering rates for yard waste removal in Brooklyn Borough that are 25% cheaper than our leading competitors. We guarantee 100% satisfaction on every job. Don’t sacrifice quality for price – 1844-JUNK-RAT will perform a top-notch job for the lowest prices you’ll find. Questions? Looking to book a yard waste removal in Brooklyn Borough? Simply contact us today by calling 1844-JUNK-RAT or 1844-586-5728. If you book online, we’ll give you an instant $20 discount! If you’re looking for the #1 local junk removal service in Brooklyn Borough, look no further than 1844-JUNK-RAT. Whenever possible, we offer same day or next day trash removal in Brooklyn Borough. Call us today for a free estimate and same day Junk Removal in Brooklyn Borough!